The Democratic National Committee has withdrawn its sponsorship of the Women's March, amidst controversy over the ties of the group's co-chairs to Nation of Islam leader Louis Farrakhan and allegations of anti-Semitism. The DNC joins other groups that have withdrawn sponsorship, such as the Southern Poverty Law Center and EMILY’s List, Jewish News Syndicate reports. The National Organization for Women and the NAACP also appear to have removed their official support for the Women's March. Tali Goldsheft, a Brooklyn-based critic of the Women's March leaders, said on Twitter that about 300 other groups are no longer listed as partners with the march. 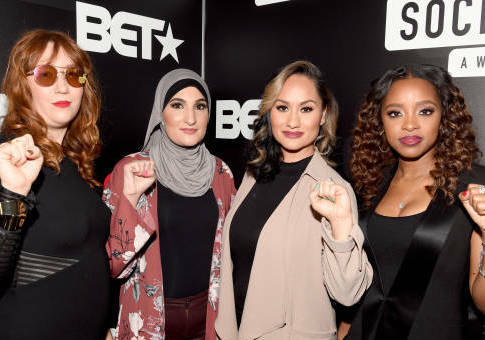 The Women's March has been embroiled in controversy over its leaders' affiliation with Farrakhan. In October, Farrakhan referred to Jews as "termites." He has also attacked "that Satanic Jew," called Jews "the mother and father of apartheid," and said that "when you want something in this world, the Jew holds the door." On Monday, Women's March organizer Tamika Mallory defended her past praise of Farrakhan during an appearance on ABC's "The View." She and co-founder Bob Bland also denied allegations made in a Tablet report last month. According to the report, Mallory and fellow organizer Carmen Perez "allegedly first asserted that Jewish people bore a special collective responsibility as exploiters of black and brown people—and even, according to a close secondhand source, claimed that Jews were proven to have been leaders of the American slave trade." Both of these claims were popularized in Louis Farrakhan's book, The Secret Relationship between Blacks and Jews. "The people that the journalist spoke to did not tell the truth, period. full stop," Bland said. Mallory also refused to condemn Farrakhan's anti-Semitic remarks, such as calling Jews "termites," despite being pressed by "The View" co-host Meghan McCain. A leader of the Jewish Democratic Council of America released a statement saying the "JDCA supports the objectives of the Women's March and stands with sister marches across the country this weekend. At the same time, we welcome the DNC, SPLC, Emily's List, and other organizations' decision to not sponsor and participate in the Women’s March and take a principled stand against anti-Semitism." This entry was posted in Politics and tagged Anti-Semitism, DNC, Meghan McCain, The View, Women's March. Bookmark the permalink.